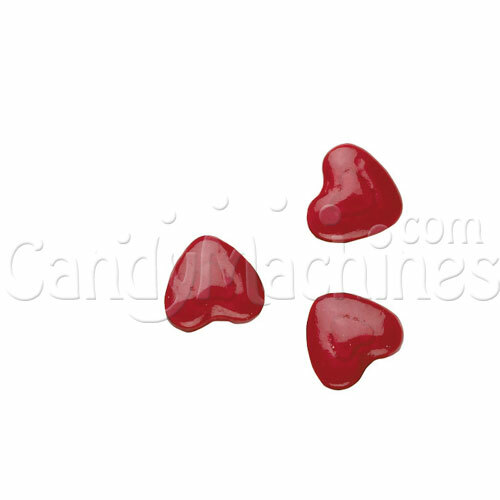 Show your love every day of the year with this bright red Candy Hearts candy. Tthis sugary pressed candy was made for vending in candy machines. The brightly colored coat has an eye catching appeal and their heart pumping red color will instantly attract attention in any candy vending machine. 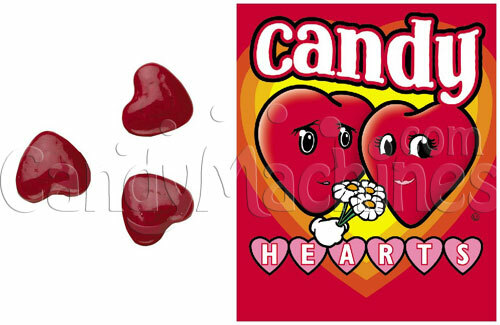 They are shaped like hearts, have small hearts indented on their face, and are cherry flavored. 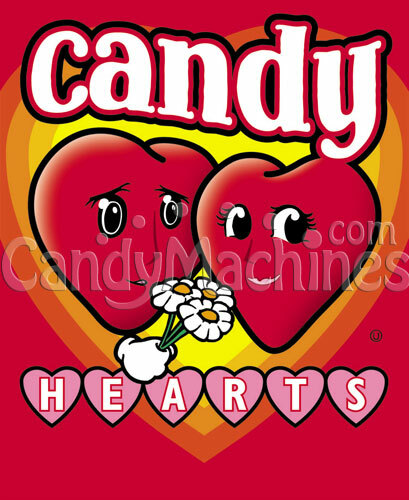 Need a machine to vend these hearts? Be sure to see our full line of candy vending machines.